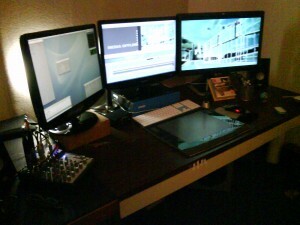 Aside from the desk and some simple things like an end table and filing cabinet, my edit suite is done. I’ve already had one client in to do an HDCAM output, and other than my own ignorance of 720p issues, everything worked as expected. Other than my desk, I just need to take care of various paperwork and my company website. The room turned out just like I wanted. 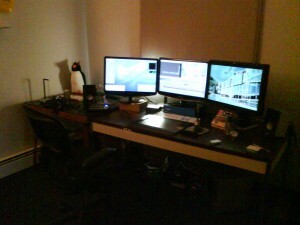 It’s nice and quiet inside the edit suite, and the light is pleasing. 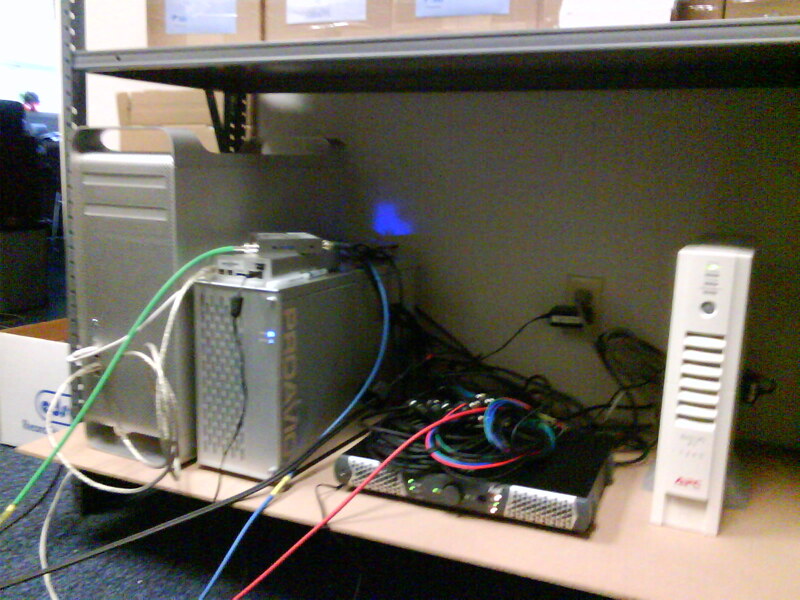 All the equipment is hidden in the next room where I can get at it easily. One sucky thing is that I don’t have a rack, so inputs and outputs are spread across the back of the Mac Pro tower, the Mojo DX, and the loose Kona cables. 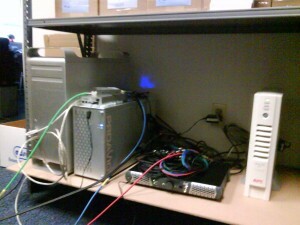 I can probably solve that problem with some short BNC cables and female / female adapters. Then I’ll have short extension cables that I can bundle together and hook up as necessary without crawling around the back of the machines. Next Next post: Hurray for open source!